Major General (Retired) Bantubonke (Bantu) Harrington Holomisa was born on 25 July 1955 at Mqanduli, Transkei, the son of the late Chief Bazindlovu Holomisa who had been a member of the Transkei Legislative Assembly. He attended primary school at Mqanduli and junior and senior secondary school at Jongilizwe College, Tsolo, a school for the sons of chiefs and headmen. 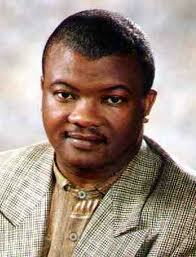 Holomisa joined the Transkei Defence Force in 1976 and was commissioned in 1978. He was one of the first blacks to undertake the South African staff and management course at the Army College in Pretoria. He became Commander of the Transkei Defence Force in April 1987, a post he held until April 1994. In 1988 he ousted the then ruler of the Transkei, Stella Sigcau, and became Chairman of the Military Council of Transkei. Between 1988 and 1989, his government unbanned approximately 33 organisations which had been banned by his predecessors. His government worked closely with the liberation movements. As a result, Transkei had a smooth transition prior to the national elections of 1994; he also led the Transkei delegationto the Convention for a Democratic South Africa (CODESA) negotiations, which in turn led to 1994 elections. He was chosen by the African National Congress (ANC) Election Committee to campaign nationally alongside Nelson Mandela, Thabo Mbeki, Cyril Ramaphosa, Winnie Mandela, the late Joe Slovo and the late Steve Tshwete during the democratic election in 1994. In 1994, he received the most votes in the ANC National Congress. He was appointed Deputy Minister of Environment and Tourism of South Africa in the 1994 government of national unity. In 1996, he was expelled from the ANC after testifying to theTruth and Reconciliation Commission (TRC) about irregular activities in the Transkei. He refused to retract his testimony, arguing that what he had said was of historical knowledge to all concerned. Holomisa co-founded the United Democratic Movement (UDM) in 1997 with Roelf Meyer and currently serves as its President. In 1999, within a period of twenty months since the United Democratic Movement was established in 1997, he together with thirteen other members of the organisation was elected to Parliament. The UDM is also represented in no less than six provincial legislatures. Since 1989, Holomisa has addressed forums around the world, including the United Nations Security Council (on the need for the UN to monitor violence in South Africa); the Confederation of British Industry; the Carnegie Endowment, United States of America (USA); the Council on Foreign Relations, USA; CSIS, USA; African-American Institute (AAI), USA; addressed Prayer Breakfast meetings in USA, Zambia and Uganda; the World Tourism Organisations; the World Travel and Tourism Council; Convention on Biodiversity and many other environmental international conventions and meetings all over the world. In 2000, he attended a Democratic Convention in Los Angeles, USA. In the same year, he led a delegation of UDM Members of Parliament to Beijing, China, upon the invitation of the Chinese government. Since then, Holomisa has addressed various international forums. The Independent Electoral Commission (IEC) requested Holomisa to act as a monitor in the June 2007 elections in East Timor. In 2007 he participated in a conference on the “Democratization in Sub-Saharan Africa: What Progress Toward Institutionalization” in Ghana, and he attended the Second World Renewable Energy Assembly as well. He is regularly invited to address business, academic, civil society and religious groups. Holomisa has mediated in conflict between Methodist of Southern Africa and United Methodist of Southern Africa and he also played a mediating role in solving taxi conflict in Transkei and Cape Town. He is an able athlete, who has played rugby, soccer, tennis, and golf and was vice-captain of the Parliamentary Rugby Squad from 1994-1996. He was an active sportsman, becoming national secretary of the Transkei Rugby Board in 1982-84 and President of the Combined Forces Sport from 1981-83. He is married with two children.